Welcome to Survive the Game Jam. In my mind, a Survival game is a game in which your main goal is to survive for either as long as possible or until you complete an objective of sorts. So keep this in mind when creating your games. You're not just restricted to a game, where you have to manage hunger, thirst, energy etc. It can be about anything. However I do enjoy those sorts of games, especially with multiplayer. The 72 hours take place over a weekend. In my timezone it starts at 12am Friday morning and ends 12am Monday morning. My timezone is NZDT so just use a timezone converter or just check the Game Jam page for when it starts. The Theme is announced just hours before it starts. Make a survival game around the theme "Undead" This could literally be anything, as long as it shows ellements of both Survival and Undead. Please only use things you have made during the time of the Jam. This also includes no royalty free assets. The ONLY exception is music and sound effects. Feel free to use Royalty free music and sounds. Currently no prizes will be rewarded to the winners, this is just a casual jam for fun. It is "ranked" but that's just for fun as well. There are no rewards for winning. This may change in the future, read below in the videos section for the plans for this, and you can contribute to an eventual prize, by participating in the videos. In the past jams, I had promised I would create a video after each jam to show off each game that had been submitted. This isn't really a possibility as I just don't have the time to do that much editing and recording each week. So I suggest a compromise. 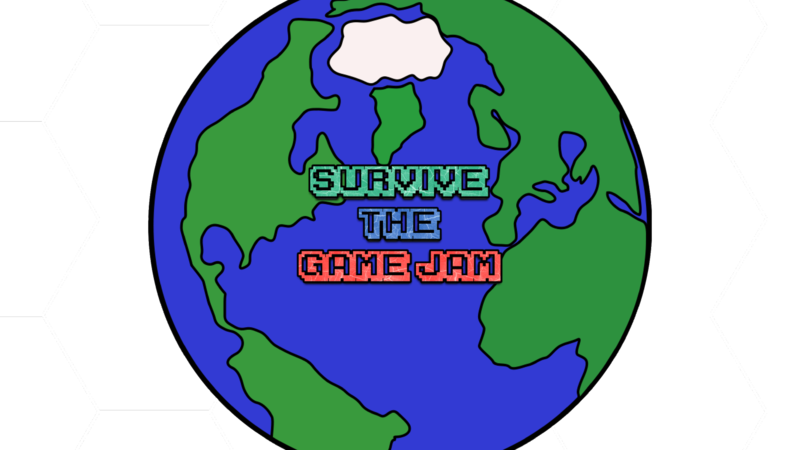 If you would like your game to be featured on a weekly "after the Jam" video, then you could record a short video on your game. This could include just gameplay, commentary, a trailer, or really anything you want to do, to show off your game. Potentially you could talk about your design process, maybe some challenges you faced, and what you would want to improve on in the future. You could then send in your videos via email, or Dropbox, or any other way that makes it easy for me to put all your videos together into one long video. If you don't want to create a video, you could send me screenshots that I can turn into a bit of a slideshow, or I can just take some screenshots myself if you don't want to bother. However I believe making a video would be a great way for you to convince viewers to download your game, which is another reason why I believe this is better than me just talking over each game, like how it was going to be. This video would be a great way to get other people to see your game, and potentially download it. It's also a great way to build a community here. If you have questions about this please ask on the community page of the current game jam. If you created a game in the first 3 game jams, feel free to create a video on your game, and i'll do as I said above. If not I'll just show a few screenshots of your game in a video soon. one last thing, YouTube has changed it's ways so it's only possible to monetize videos on a channel with at least 10,000 lifetime views. If we somehow hit that, and somehow make money off of the videos, don't worry, I won''t keep any of it for myself. All profits will go towards prize money for the winners of the jam. However we actually need videos first.